2017 was a great year for board gaming, with titles ranging from Photosynthesis, to Clans of Caledonia, to the new number one rated game on BoardGameGeek – Gloomhaven. These releases and more captured the attention of the board gaming world in 2017, and showcased the growing diversity and quality in board game design. 2018 is already shaping up to be another great year for this hobby, and we are already chomping at the bit for more new games. Since there are so many exciting releases coming out in 2018, we’ve broken the list down into three categories. As an added bonus we reached out to our social media followers to see what their most anticipated games for this year are and we included some highlights. From their euro titles Village and Rajas of the Ganges to their Exit: The Game series, Inka and Marcus Brand are a popular design duo around Meeple Mountain. 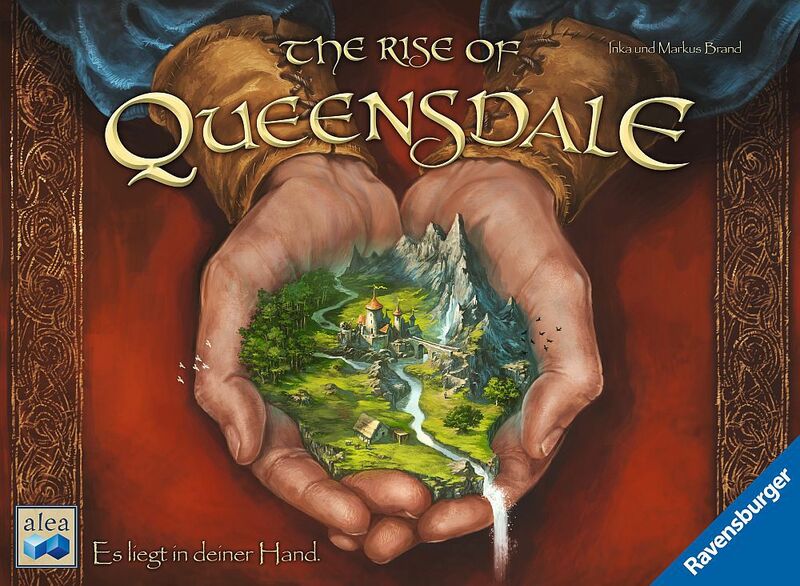 Rise of Queensdale is their next title; a legacy game featuring dice management. Not much else is known about it at this point, but the simple combination of the Brand team and a legacy game is enough to get us excited for Rise of Queensdale. Yellow & Yangtze is the sequel to the masterpiece classic abstract game Tigris & Euphrates by prolific designer Reiner Knizia. Yellow & Yangtze uses many of the same mechanisms as Tigris & Euphrates, such as the scoring system, but instead of playing on a map consisting of squares, the game is played on a hex map. We aren’t sure how this will affect the overall gameplay or what other changes Yellow & Yangtze holds, but these first glimpses look like exciting changes. Escape games are having a moment right now, including Exit: The Game which recently won the Kennerspiel de Jahres. 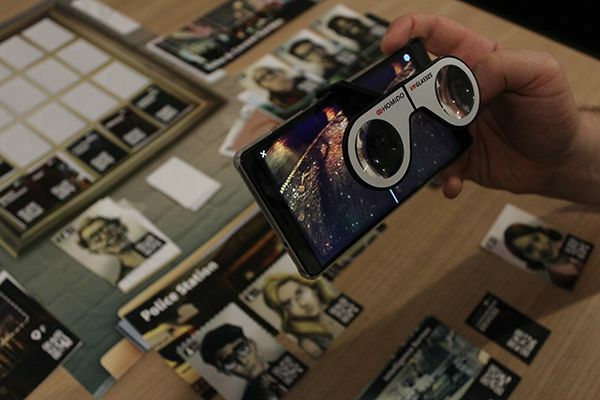 Chronicles of Crime is another escape game type of experience, but what makes it special is it uses virtual reality to enhance the experience. In Chronicles of Crime you and your team are working as police officers to solve a series of mysteries. It sounds like a combination of Sherlock Holmes: Consulting Detective, an escape game, and virtual reality. Those are three things that we cannot get enough of right now. 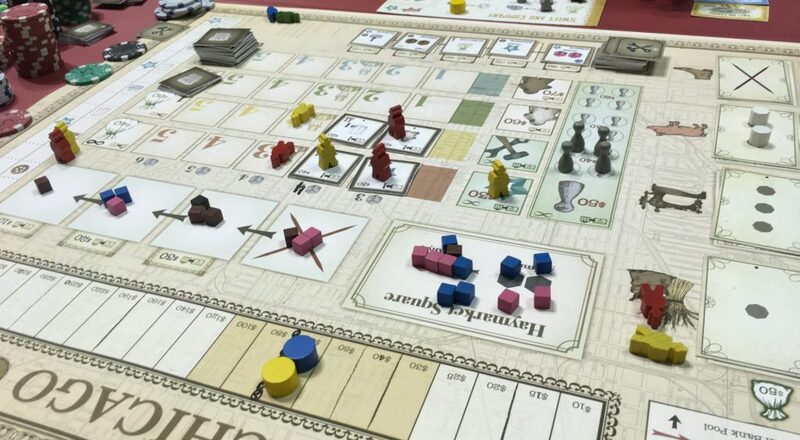 If you like heavy, economic games like Arkwright and 18xx then City of the Big Shoulders might be right up your alley. This game takes you to Chicago during it’s transition into the textile industry. Players will take on the role of investors in textile companies; buying shares to fulfill the changing demand. I got in a play of this at Gen Con 2017 and I was incredibly impressed with where the game was at that point (check out my comments here). I’m excited to see where it ends up! Key Flow is a sequel to Keyflower, by another of our favorite designers – Richard Breese. There isn’t too much information available on Key Flow yet, but what we do know is it’s a reimplementation of Keyflower using a card based system. We’re excited to find out more and see if it lives up to the Keyflower name! Like City of the Big Shoulders, Tokyo Metro is another heavy economic game. In this game you’re investing in rail lines and building up an infrastructure to both make a profit and improve the value of your rail station. 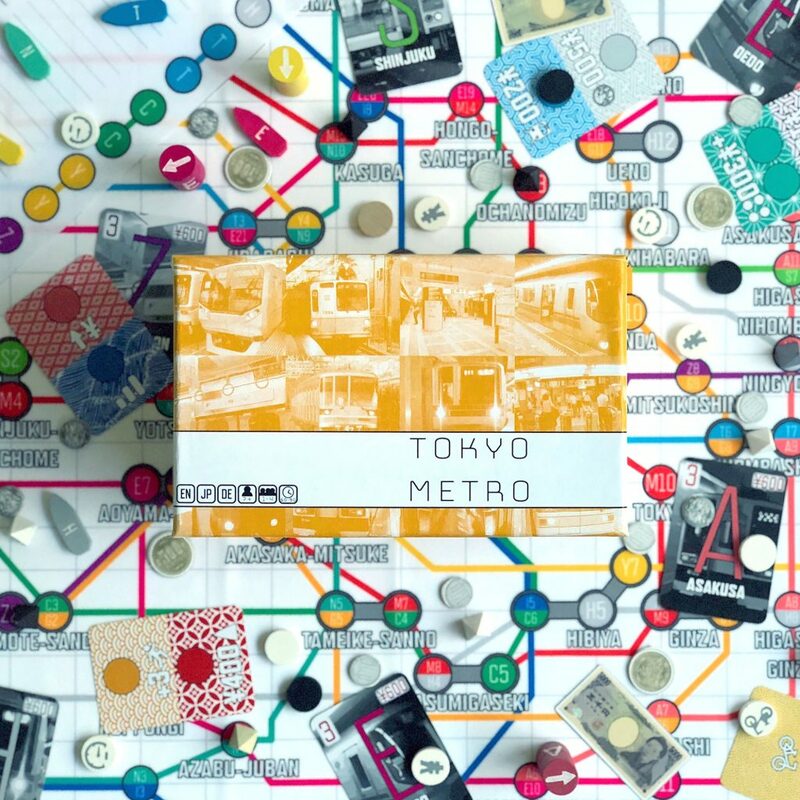 Check out our full review of Tokyo Metro here, and our Tokyo Metro designer diary entry with Jordan Draper. Hopefully, when you’re reading this we’ve already received our copies of the spiritual sequel to Blood Rage, Rising Sun. 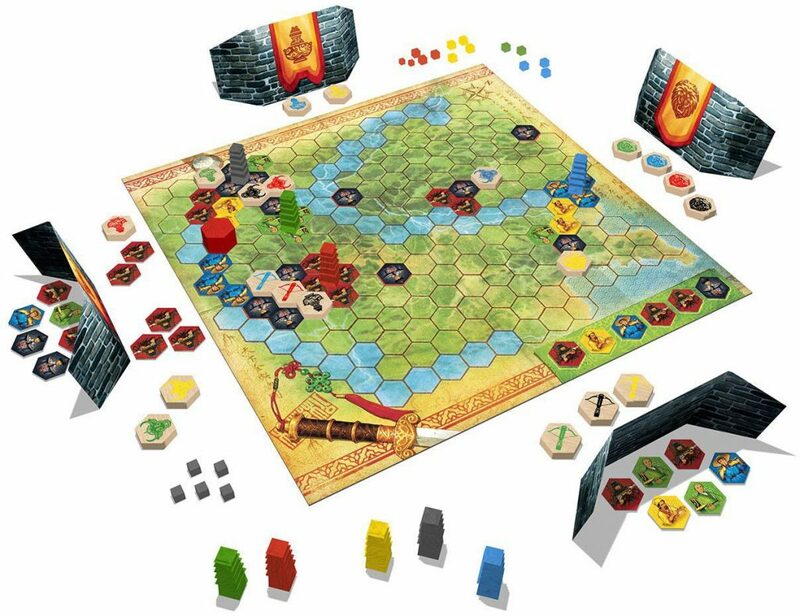 This game also by famed designer Eric Lang, revolves around a stronger negotiation and team forming mechanism than its predecessor. The kickstarter for Rising Sun was one of the most successful from 2017 so we are hoping it lives up to the hype! Detective: City of Angels is the second crime themed game we’re excited about for 2018. Players will take on the role of detectives where they will be interrogating criminals and chasing leads in a series of cases. The game includes several interesting mechanisms for how players dig into the mysteries including The Chisel, who is mostly in the game to sow chaos. Check out our video preview of Detective: City of Angels. Dexterity games are one of our favorite ways to introduce new people to the hobby and to have some light-hearted fun. Mars Open: Tabletop Golf embraces that fun with an innovative golf ball piece that you flick around a golf course. This gif of the gameplay shows just how charming the aesthetic and dexterity is. We recently saw Gloomhaven take over the number one spot on the BoardGameGeek rankings. Founders of Gloomhaven is the next game from Gloomhaven designer Isaac Childress. 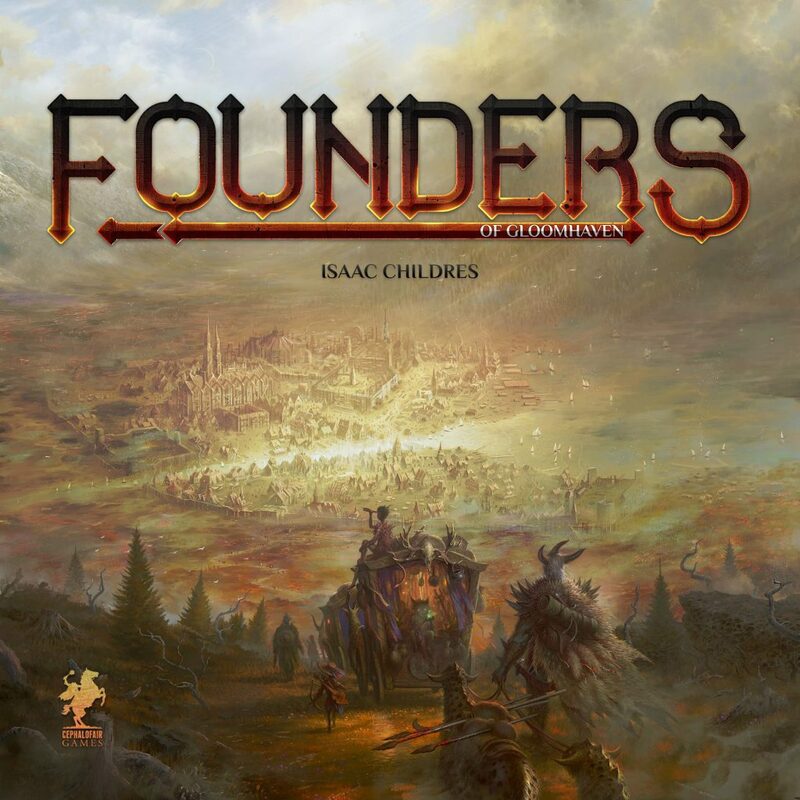 Founders is a heavy euro about building the city of Gloomhaven. Each player controls a set of resources and will be forced to utilize their opponents’ resources in building the city. If you’re a fan of Gloomhaven, take a look at the game before you jump onto it because it isn’t similar to its namesake in any way other than theme. 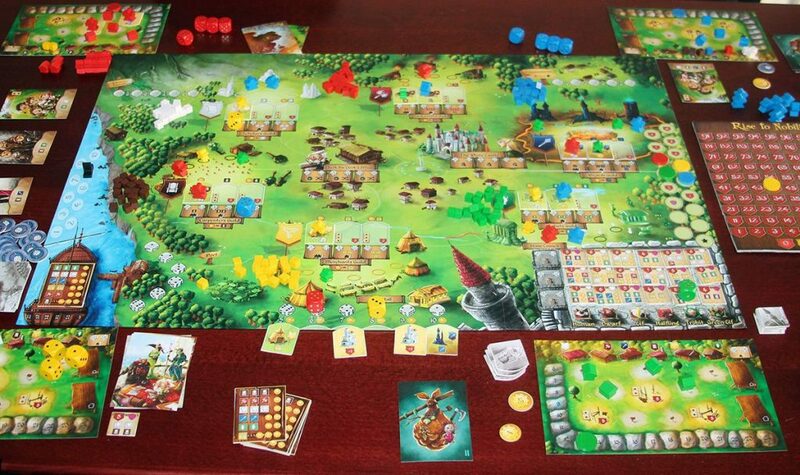 Rise to Nobility is a dice worker placement game set in the Cavern Tavern universe. In this game you’re placing your dice to earn favor from the High Queen. We love euros with dice around Meeple Mountain and we’re hoping this makes a splash amongst our other favorites. We had hoped Feudum would be released in 2017, but nevertheless it has not yet made it to backers. Feudum is another intriguing heavy economic euro game in which your profit is established by the relationship to the other guilds in the game. I was fortunate enough to get in a play of this before final production and if this had been delivered in 2017, it would likely have been one of my front runners for game of the year. Here’s to making the 2018 game of the year list. Neue Heimat is the second game in Capstone Game’s Simply Complex line, which includes one of my favorite games from last year – The Climbers. The gameplay focuses on tactical bidding and vicious player interaction. Neue Heimat is the kind of game where the winner might end up with negative points depending on the flow of the game and how players handle the not so subtle interaction. Tread lightly with this one if you think your group can’t handle a lot of back and forth interaction. But if you’re interested in an auction game whose weight punches above its appearance, then you should check out Neue Heimat. We interviewed Clay Ross, President of Capstone Games about the Neue Heimat Kickstarter campaign. 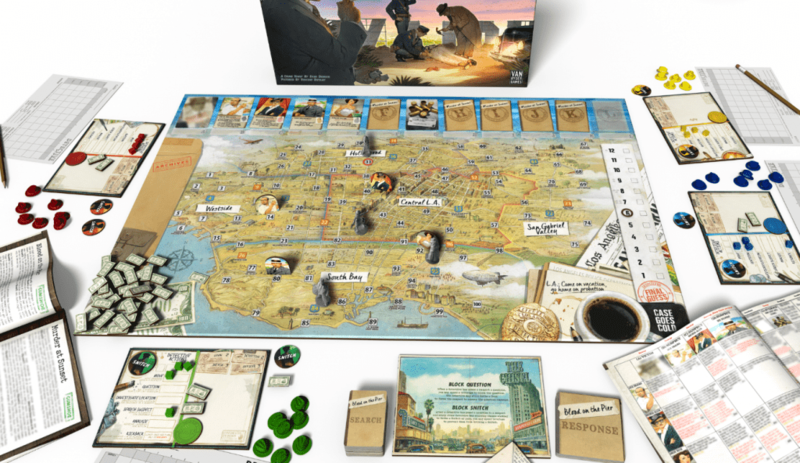 7th Continent was one of the mega hit releases from 2017 and currently resides at 37 on the BoardGameGeek top games of all time ranking. 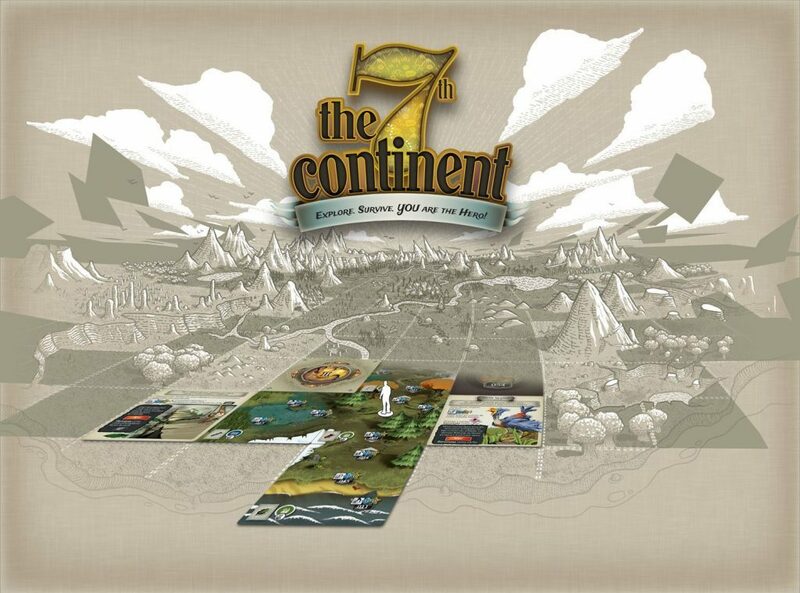 What got us excited about7th Continent were the adventure and journeying mechanisms. 7th Continent is the closest thing we have seen to a game which simulates a “choose your own adventure” book. My personal hope for 7th Continent is that it fills the exploration and discovery of the massive Gloomhaven storyline with gameplay more focused on the journey than the missions. 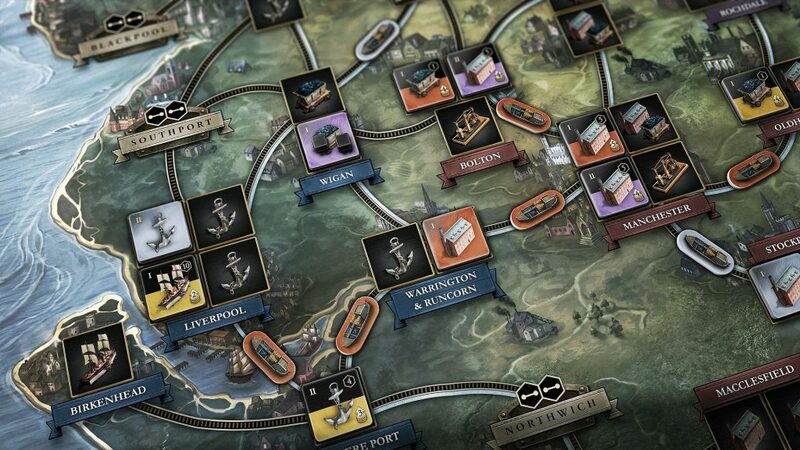 Brass is a classic Martin Wallace economic masterpiece focused on route building and resource management. 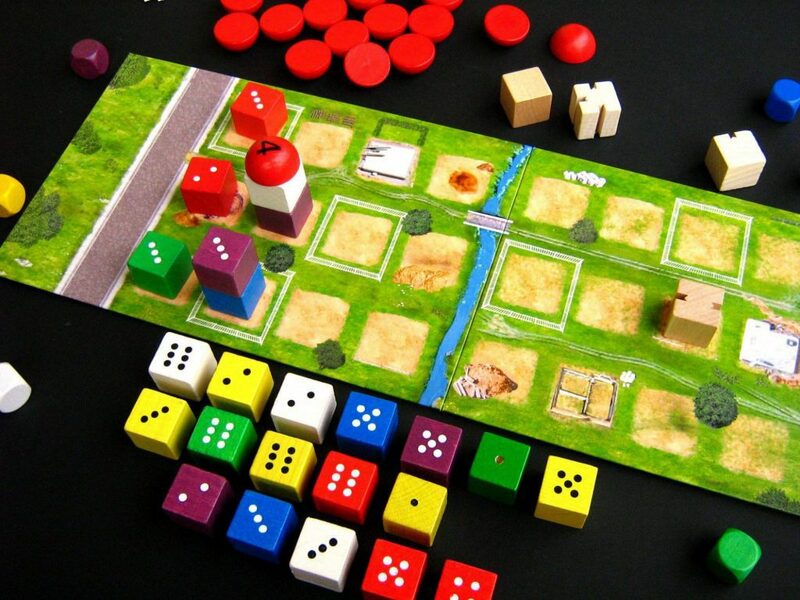 The gameplay uses fascinating mechanisms which allow you to build resources on the board which any player can use, but score you points as those resources are consumed. Brass got a reprint (and a sequel) in 2017 along with a major artistic upgrade from the pastel colors of a euro to a more dramatic steampunk theme. Did I mention we really like Richard Breese games around here? This is his second entry on this list, this time for a reprint of a game he helped develop – Key Market. Richard offered to reprint Key Market in his Geek of the Week segment where he said if a photo on the Key Market BGG page got 500 thumbs he’d reprint it. To date it is at 970 and he has confirmed the reprint is coming! 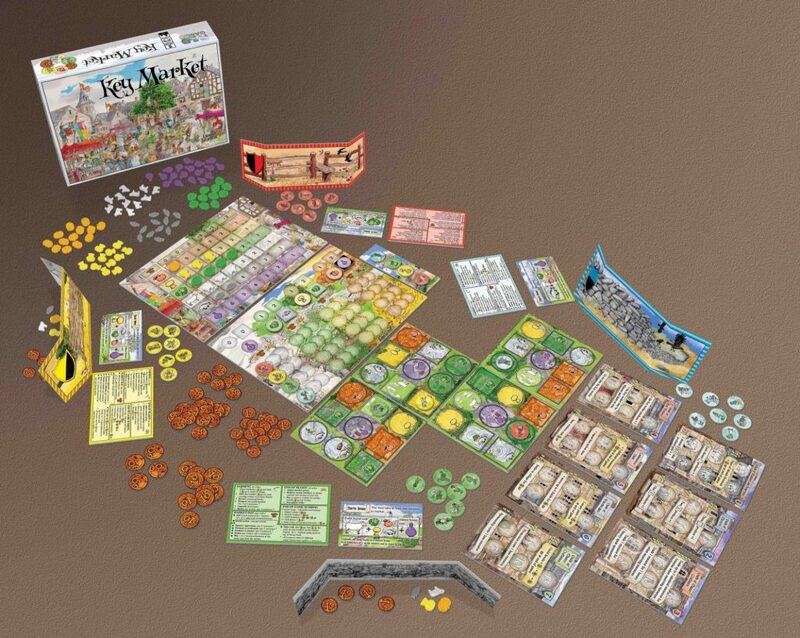 Key Market is an engine building, resource management game like many of the other Key-series games and interesting player interaction dynamics. One of my favorite games from 2017, Downforce, which started life as the classic game Top Race, was reimagined and modernized by the designers at Restoration Games. 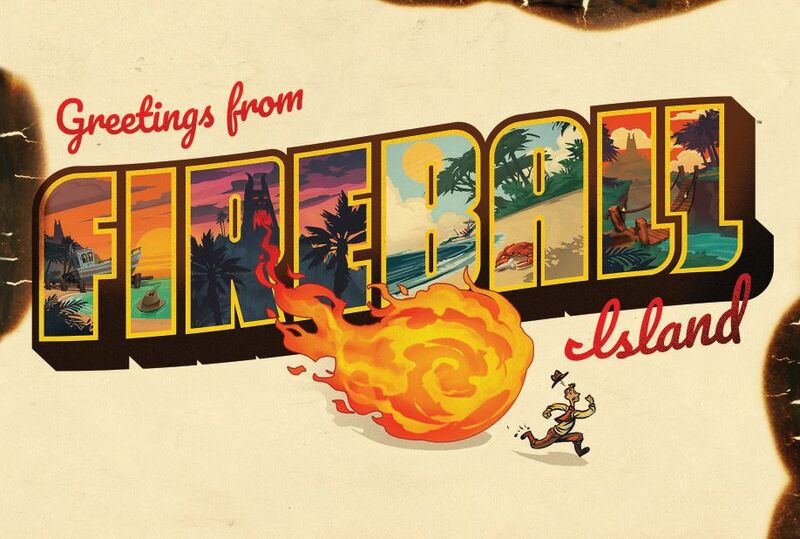 This year the 80s classic Fireball Island, billed as “The dimensional adventure game of pitfalls and perils” is getting the same treatment and will be released by Restoration Games as Fireball Island: The Curse of Vul-Kar. The details behind the gameplay are still up in the air, but the swell of nostalgic excitement and the success of Restoration Games in 2017 leaves us excited for their next installment. It is hard to believe that Container has been around for over 10 years now. If we thought about it long and hard enough, we could probably make some metaphor about the deluxification of Container in this reprint and the growing use of container ships in the board game industry. 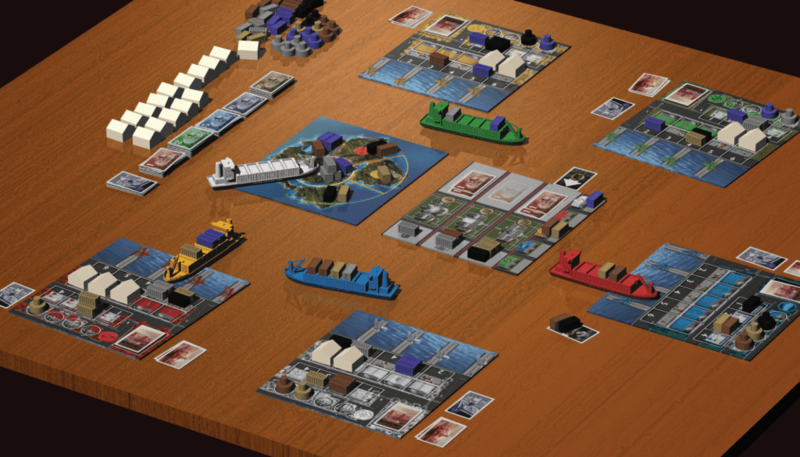 Container is a highly streamlined economic simulation where players can control any part of the container production and shipping economy and a scoring system that is clearly influenced by a game we previously mentioned – Tigris& Euphrates. It is safe to say that 2018 is going to be a great year for board games. What games are you excited for? What did we miss? Are there games that haven’t been announced yet that will take 2018 by storm? I’m looking forward to Kero by Hurrican. Looking forward to stand alone/expansion Too Many Bones Undertow and Tiny Epic Zombies!